Where Low Overhead = Low Cost! 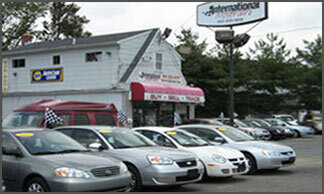 For over 25 + years, International Motorcars llc has been serving our clients and community. We offer carefully selected fine automobiles, inspected and chosen for their excellence and value. Our knowledge, experience and due diligence, has provided our customers with confidence and peace of mind. We appreciate that you have a choice where you do business. Thank you for our opportunity to serve you! Our finance department has relations with most banks and lending institutions in CT and will help you get a car loan at affordable payments. We provide sub-prime financing too and in most cases your credit history may not be a problem as you might think! At International Motorcars llc, we believe you can get financed with good, bad or no credit history at all.